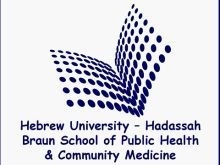 This project addresses the public health implications of dietary exposures to agricultural pesticides among Israeli children. Data from a nutrition survey will be paired with data from pesticide monitoring programs of the Israeli Ministries of Health and Agriculture. The result will be a portfolio of concentrations of individual pesticide concentrations within food items and dietary patterns as a whole. Currently, statistical analysis on the data sets is underway. Recipes for calibration of individual food items within mixed dishes are being finalized and the platform for linking pesticide residue and dietary data has begun. Shirra Freeman is a postdoctoral fellow conducting the activities in this project.